According to Platts, Equinor reported on June 7 that global petroleum demand is predicted to peak around 2030, reaching 111 million barrels per day. There will be some factors that help demand to rise, and others that cause demand to decrease. However, the former will offset the latter. The former will be caused by remarkable growth of electronic vehicle sector and growing energy efficiency. The latter will be led by rising demand of petroleum from aviation sector and petrochemical industry. 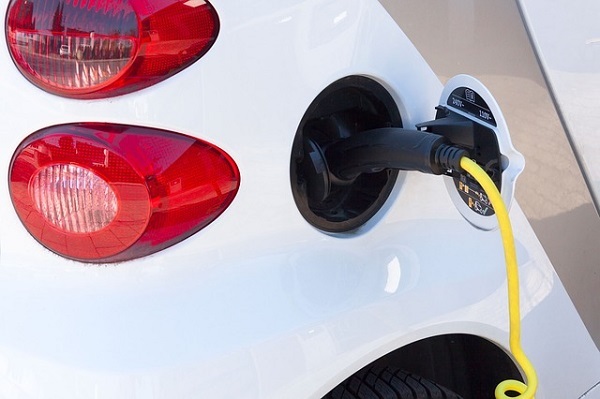 Equinor's report projected that because of rising EV demand, petroleum demand from the light-duty vehicle in the transportation sector will decrease, from 25.2 million barrels per day in 2030, to 16.2 million barrels per day in 2050. The report pointed out that after the petroleum demand peaked, the dropping scale of demand will be mild. The global petroleum demand in 2050 is projected to drop 5% from that in 2030, and will reach 105 million barrels per day. Equinor's long term outlook of petroleum is slightly more pessimistic than that of International Energy Agency (IEA) and that of BP p.l.c. IEA expected that global petroleum will peak in 2040. BP p.l.c forecasted that global petroleum's demand might peak at the end of 2030s. By contrast, US Department of Energy (DOE) predicts that global petroleum demand will continue growing. Why will it continue growing? The Chief Economist of Equinor, Eirik Waerness pointed out that the rising global trade friction will impact long-term global economic growth. However, petroleum demand might increase because in volatile markets, there might be lack of sufficient global cooperation to enhance energy efficiency. According to US EIA's report on June 7, its data as of June 1 showed that US natural gas storage increased 92 billion cubic feet from previous week. The total storage reached 1.817 trillion cubic feet. Analysts predicted that average increase was 92 billion cubic feet. When this figure was compared to the average storage in the same time period from 5 years ago, this figure was up 104 billion cubic feet. When compared to the same time period in 2017, this figure was up 103 billion cubic feet. As of June 1, this figure of US natural gas storage for the week was down 30.5% YoY. When this figure is compared with the average number in the same duration 5 years ago, the storage was down 22% from 5 years ago. According to the New York Mercantile Exchange Inc. (NYMEX), natural gas future price's closing quotation was up 1.2% on June 7. It reached US $2.930 per million British thermal unit (Btu) because in the previous week, natural gas storage increase rate was less than expectation. S&P Goldman Sachs Commodity Index (S＆P GSCI) has risen 7.9% since early this year. In particular, energy index rose 11%. This was the largest growth among its different indices. West Texas Intermediate (WTI) rose 9.1%, and Brent crude increased 15.5%. Speaking of natural gas' price since early this year, it has dropped 0.7%. According to statistics of PointLogic Energy, at the duration from May 31 to June 6, the US total domestic natural gas consumption per day grew 2% from a week ago, from 56.6 billion cubic feet to 57.8 billion cubic feet. In particular, power generation industry's daily natural gas consumption dropped 1% from previous week, from 29.9 billion cubic feet, to 29.5 billion cubic feet. US industrial sector natural gas consumption grew 1% from previous week, from 19.6 billion cubic feet to 19.7 billion cubic feet. The US commercial/residential natural gas consumption moved up 19% from previous week, from 7.1 billion cubic feet to 8.5 cubic feet.